Home Flower Care	Flower Spotlight: Larkspur, The July Birth Flower! Flower Spotlight: Larkspur, The July Birth Flower! I bet if I asked you what your birth stone is, you could tell me…But what about your birth flower? Well, if you were born in the month of July (like me!) then your birth flower is the lovely Larkspur! Why is this important? Well, I like the idea of incorporating flowers that symbolize something into your wedding flowers, for instance, you and your spouse’s birth flowers… Or, if you know someone who was born in July, how about gifting them a pretty bouquet of larkspur tied with a ribbon…It’s both thoughtful and beautiful! The Larkspur flower is available in white, pink, lavender, blue and purple and is said to have a meaning of dedication, an open heart, passion, and a strong bond of love, but as with most flowers, each color can also have a slightly different meaning. White is said to signify a happy and joyful temperament while purple is said to symbolize a sweet character or first love. Larkspur has an average stem length of 20 to 27.5 inches, so it is great for adding height to bouquets and centerpieces. Each spiked stem features multiple blooms that will tend to open from the bottom to the top, so it is common to have a few closed buds at the top. These unopened buds provide interesting texture and contrast. 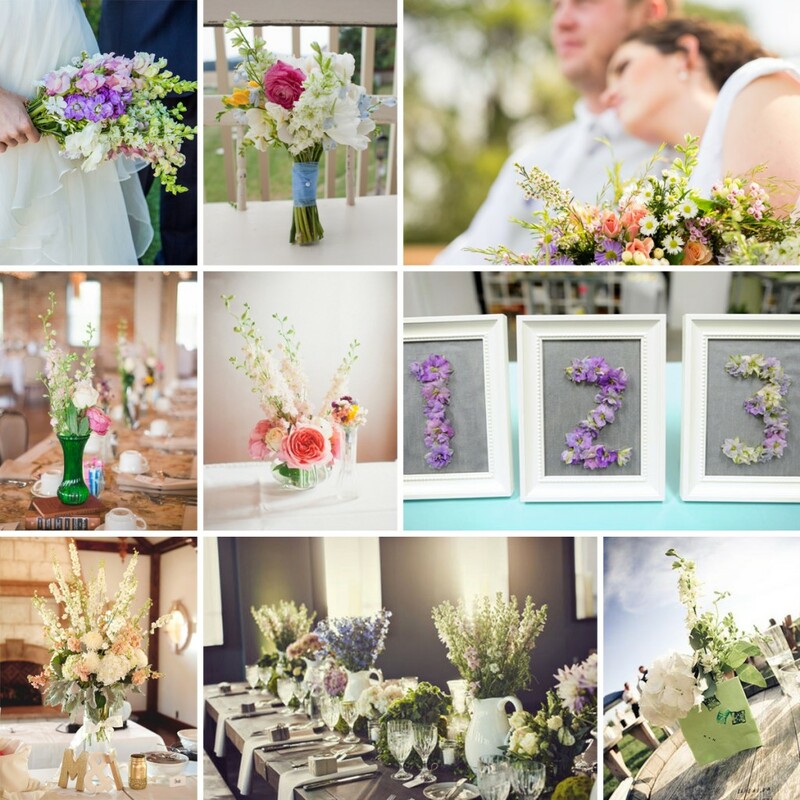 The larkspur flower is available year around and should be delivered 3-4 days before your event. Larkspur is shipped in 10 stem bunches and at FiftyFlowers.com we offer 8-10 bunches for 119.99 or 16-20 bunches for 199.99. See our Color and Package options here. Remove any plastic or paper packaging from each bunch of flowers.